Arizona: Former Arizona State Senator Debbie Lesko won the GOP primary on February 27 to replace social conservative Trent Franks in the 8th Congressional District of Arizona. GING-PAC had originally endorsed former State Senator Steve Montenegro, but he lost in the primary over allegations of sexual misconduct with a female colleague while he was in the state Senate. 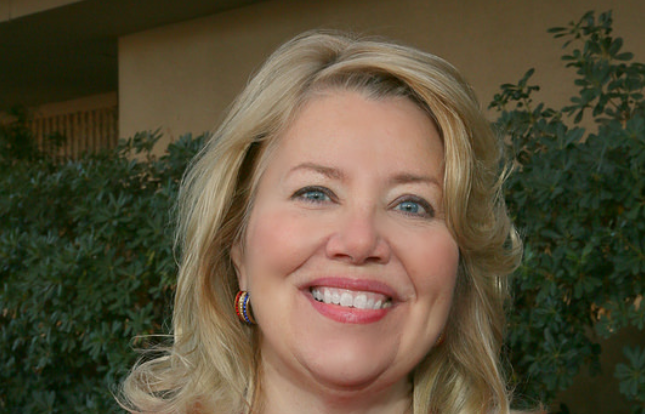 Debbie Lesko is our pick to replace Trent Franks in the Arizona House race. Debbie Lesko faces a Democrat newcomer in an April 24 special election. She is running in a strongly conservative district. I’m so proud of my record in the legislature that upheld the sanctity of life and protected the unborn. I’m a strong believer that life begins at conception and we must protect the most vulnerable among us. Because of my strong pro-life record, I am the only CD8 candidate to be endorsed by the Susan B. Anthony List, an important national pro-life organization and I have consistently been endorsed by Arizona Right to Life, have a 100% rating with the Center for Arizona Policy and been named “Friend of the Family” by the Arizona Family Project. As your next representative in Congress, I will vigorously support the principles of life and vote to prohibit any federal funding for abortion or infanticide. Debbie Lesko is a strong defender of the 2nd Amendment, the border wall, locally-controlled education, a strong defense, low taxes, and limited government. California: California Congressman Darrell Issa is retiring this year and several GOP candidates are competing for his seat in the 49th Congressional District. Issa has held this seat since 2000. Our pick to replace Issa is Dr. Mike Schmitt, a non-politician who has spent time in Iraq and Syria helping the victims of the Islamic State. I have talked with Dr. Schmitt who does relief work in the same are of Iraq as I do. Mike Schmitt campaigns for Issa’s Seat. While overseas, Schmitt helped rescue girls who were enslaved by ISIS. Schmitt believes in defeating ISIS, but not sending our troops around the world on long deployments – unless there is a tangible connection between the threat and our national security. I have been strongly Pro-Life my entire life with no wavering. While I recognize Roe v. Wade as a flawed decision, it is the current law of the land. Having said that, there should never be any Federal funding for elective abortion. I favor restricting the funneling of girls and young women towards presumptive abortions. As we have all learned recently, they are a ghoulish industry taking advantage of overwhelmed young people. They are force feeding what, for most, will be the most regrettable decision of their life. I favor adoption as a priority. 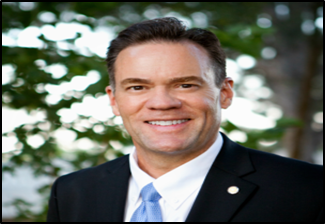 Idaho: Russ Fulcher is a committed social conservative who is currently running for Congress in the 1st Congressional District of Idaho. As a father of three young adults, I have always been ardently pro-life. I believe that life begins at conception, and that every unborn child has the inherent right to life. For my longstanding efforts to protect the unborn in the Idaho Legislature, I received the “Friend for Life” award from Idaho Chooses Life in 2013 and the “Legacy of Life” award from Stanton Healthcare in 2014. Fulcher believes in a strong military but doesn’t believe in “nation building” using our soldiers, sailors, airmen and Marines. Our military might, he says, should only be used when our national security is at risk. GING-PAC endorsed GOP candidate Rick Saccone lost the special election to replace disgraced Congressman Tim Murphy. Saccone ran against Democrat candidate Conor Lamb, a young former Marine who ran as a moderate and claimed he wanted to oust Nancy Pelosi as Minority Leader. In other words, he ran as a conservative, not a radical liberal. Conor Lamb won by bucking the national Democrats, but his victory may be short lived, for all the money that was spent. The district will vanish because of redistricting set by the Supreme Court of Pennsylvania. In November, if he wants to run, Lamb will be in a new district. Will Republicans Lose The Senate? Republicans in the Senate appear to be engineering their own demise in the upcoming 2018 election cycle. Disorganization seems to follow every race that is shaping up, with some Republican Senators resigning well ahead of the November election. They currently have a one-vote margin to get legislation passed. Arizona: Republican Senator Jeff Flake is retiring, and several GOP candidates are campaigning for his seat. Also, John McCain is being treated for brain cancer and may be forced by circumstances to resign. Tennessee: Sen. Bob Corker, a neo-con who tore apart the Iraq and Syria Genocide Relief and Accountability Act of 2017 (HR-390) is not running again. HR-390 was written in the House to help Christians who were the victims of genocide. Corker’s Senate committee changed the bill to set up a “study committee” that does nothing for years but meet and talk. Corker’s poll numbers were well down, as were his donations. It became evident he was going to be facing Congresswoman Marsha Blackburn, a social conservative, in the primary. His numbers looked so bad that he decided to bow out. The pro-abortion Democrats will sink a lot of money into Tennessee to get this seat in November. Utah: Mitt “the meek” Romney is running to replace Senator Orrin Hatch. He is even endorsed by President Trump. During the last presidential campaign, Trump nicknamed him “spoiled brat” among other names. I am not sure whether a Trump endorsement right now helps or not. In red state Utah, the primary victory is the one that counts. Romney will likely win and become an unreliable vote on important social issues such as abortion and health care. Romney was never a social conservative. GING-PAC opposed him at every level during his attempts to seek the GOP presidential nomination. During his presidential campaign he ignored social conservatives. Mississippi: Senator Thad Cochran has just resigned for health reasons at age 80. He departed the Senate on March 23rd. Mississippi Governor Phil Bryant appointed state Agriculture Commissioner Cindy Hyde-Smith to replace Senator Cochran, and she has been sworn in. Hyde-Smith was formerly a Mississippi state senator. She will hold the office of U.S. senator only until a November special election, when a candidate will be selected to fill the remaining two years of Cochran’s term. In November Hyde-Smith will be in a three-way showdown with Republican state Sen. Chris McDaniel and Democratic former Congressman Mike Espy. State Senator Chris McDaniel is a conservative who ran unsuccessfully against Cochran in 2014 in the primary. As a State Senator, McDaniel authored the Student Religious Liberties Act designed to protect the rights of students to pray in school. He is a proponent of limited government, free enterprise, a strong national defense, state’s rights, and a return to Constitutional government. The battle lines are not yet clear in this race, as others could join in and make a clear victory not possible. It is a long way to November. 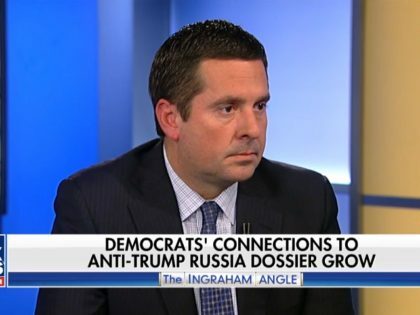 If there is any semblance of justice left at the Department of Justice under Jeff Sessions, there should be grand juries, indictments, trials and convictions galore for the Deep State operatives who were engaged in what amounts to an attempt to overthrow our government. Pray for all of the GING-PAC endorsed candidates mentioned in this newsletter – and donate to GING-PAC so we can support them financially. If you are able, get to work for conservative candidates for the House and Senate and for state races as well. Elections have serious consequences for how you live, how you worship, how much money you’re allowed to keep, how safe you are in your community, and how corrupt the culture becomes. Those who oppose the traditional family; those who think killing the unborn is a right; those who promote sin as a virtue will speak out as loudly as they can in support of their candidates. To win, we must be more active and louder in supporting our beliefs.